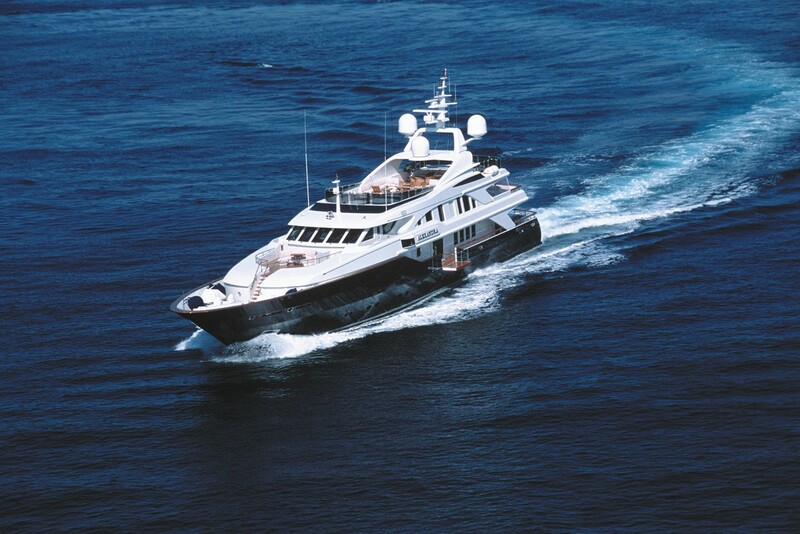 M/Y ALEXANDRA is 50 meters of pure luxury yachting as built by Benetti in 2001. 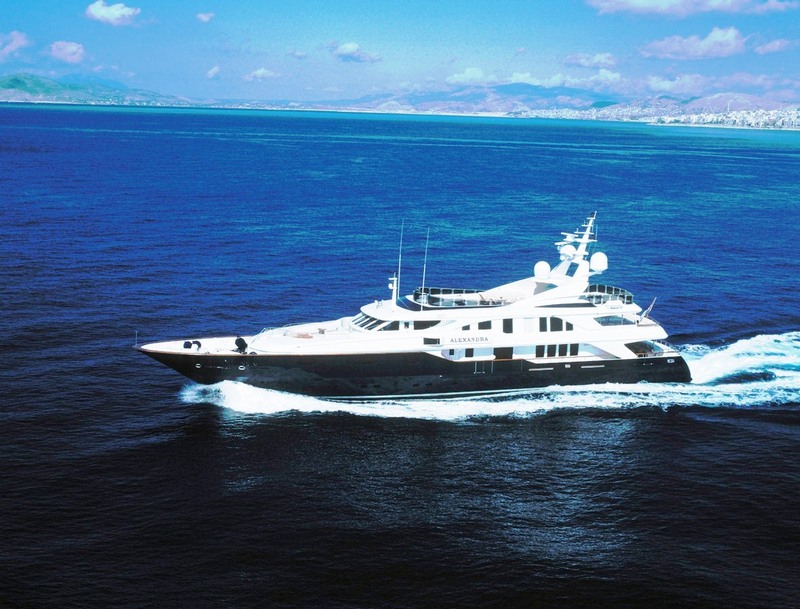 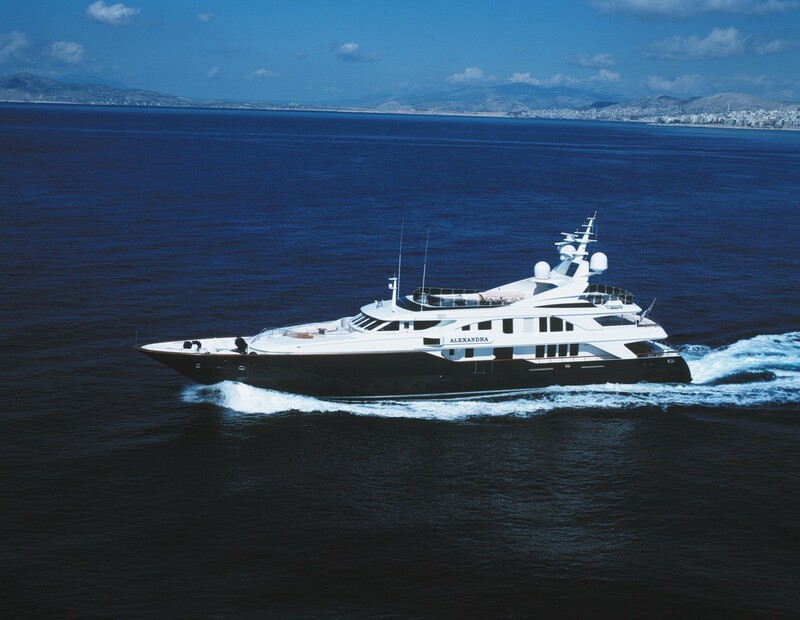 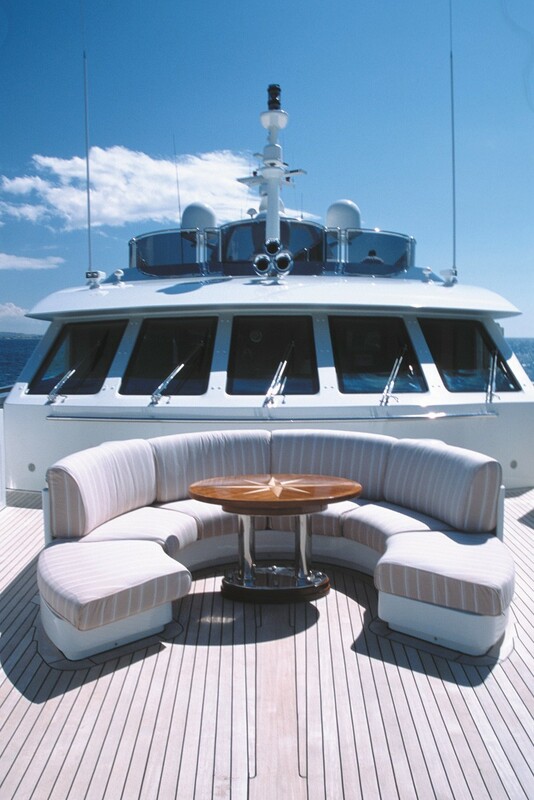 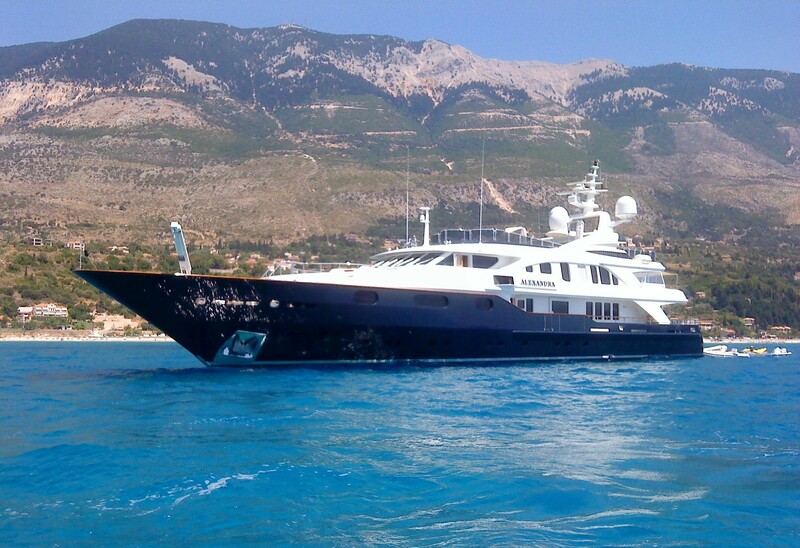 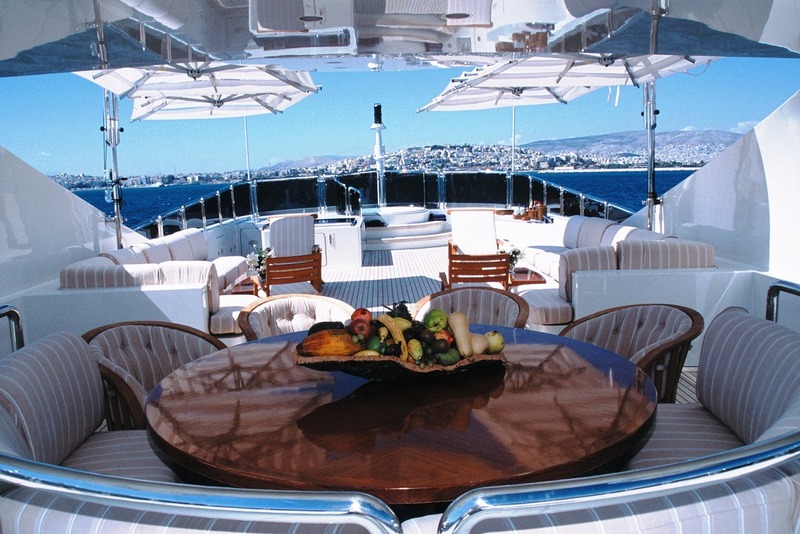 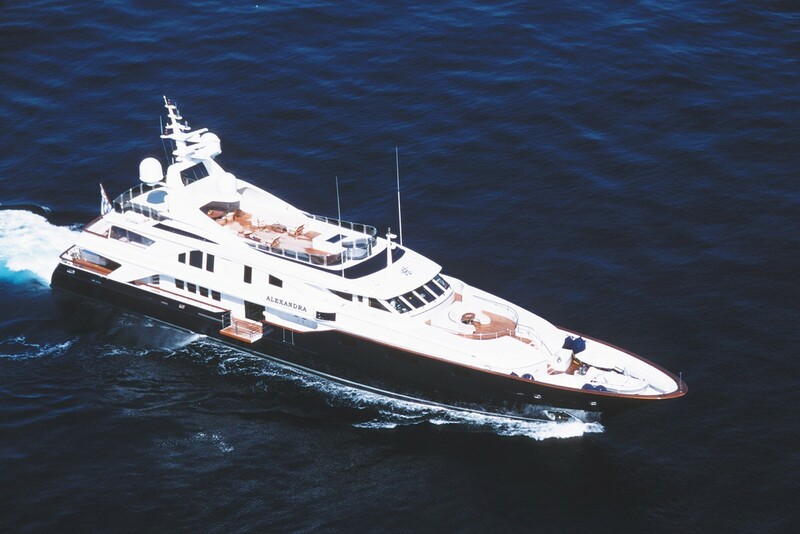 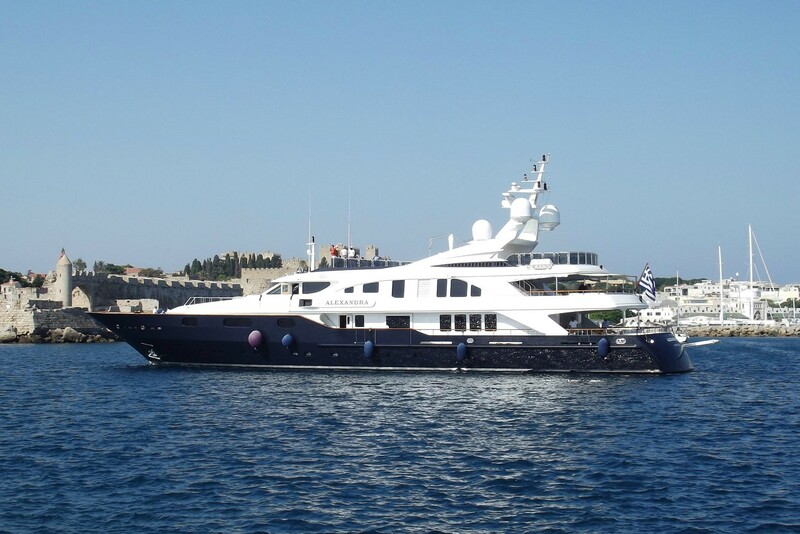 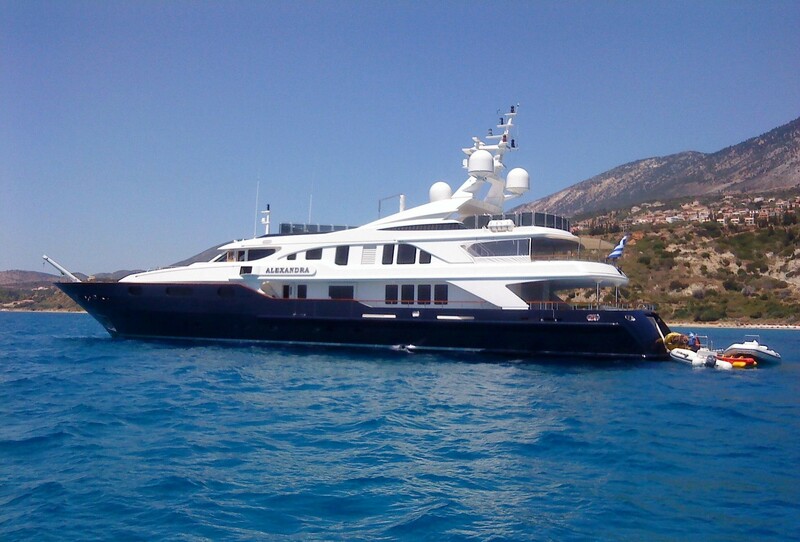 She is ideal for those who love the space on large luxury motor yachts and wish to charter in Greece. 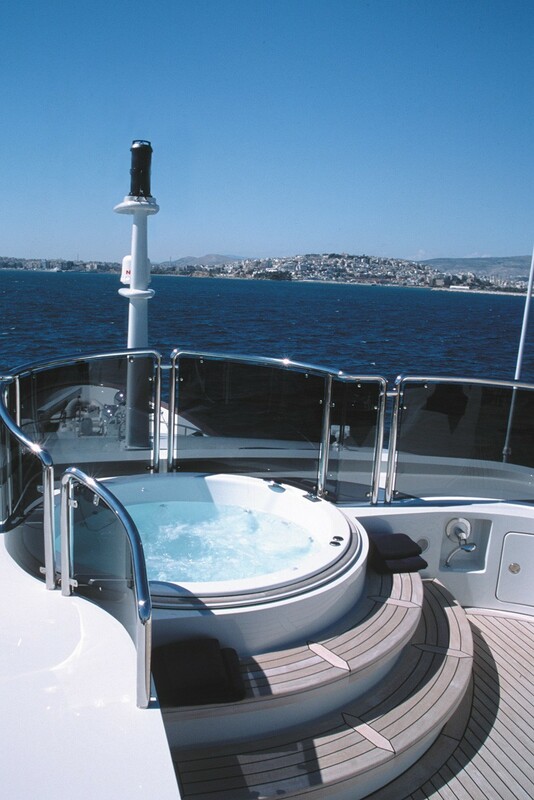 Yacht ALEXANDRA was the sixth launch in Benetti's Golden Bay series of semi-displacement vessels. 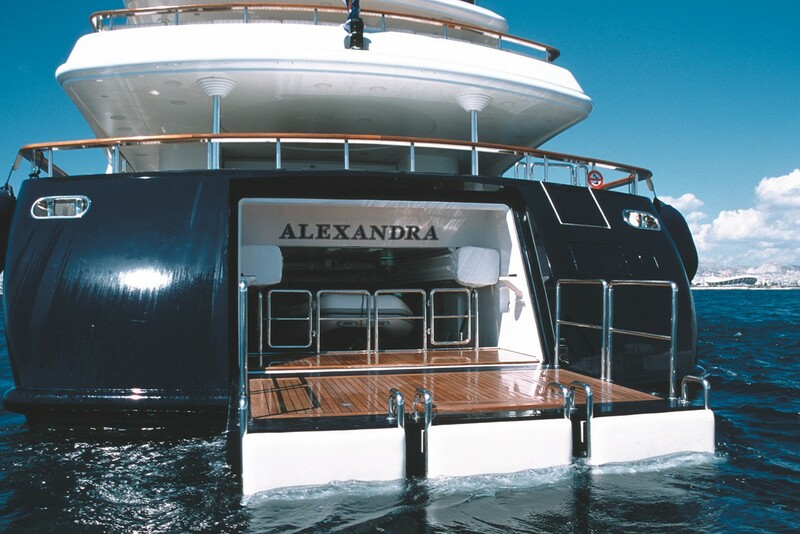 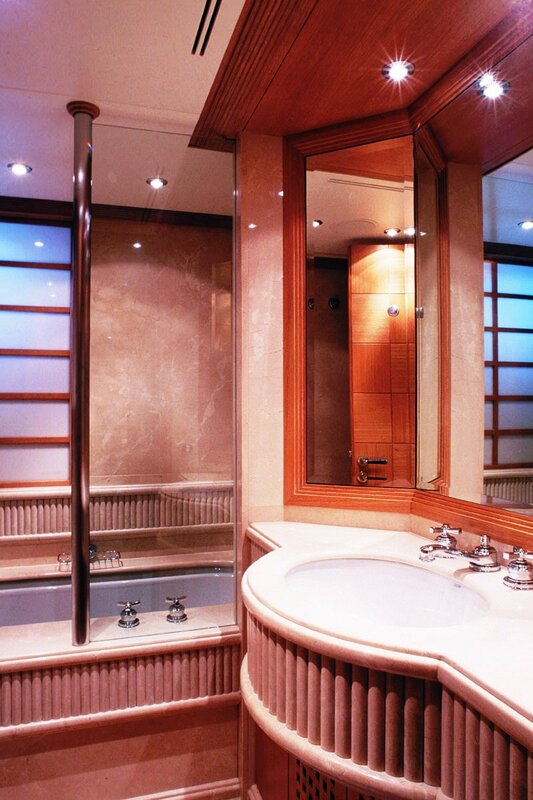 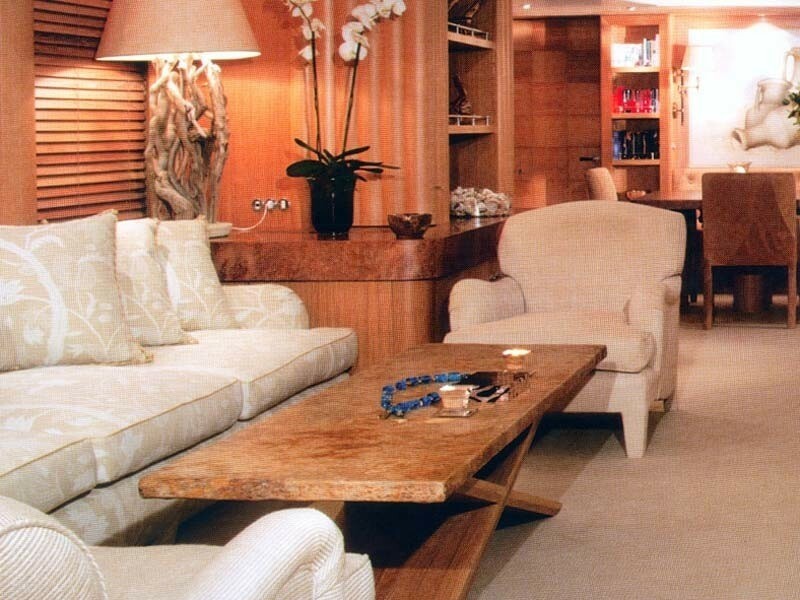 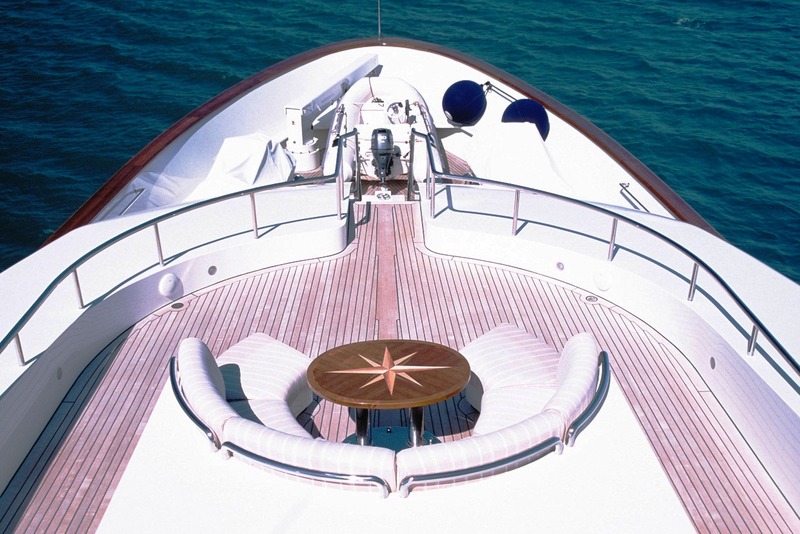 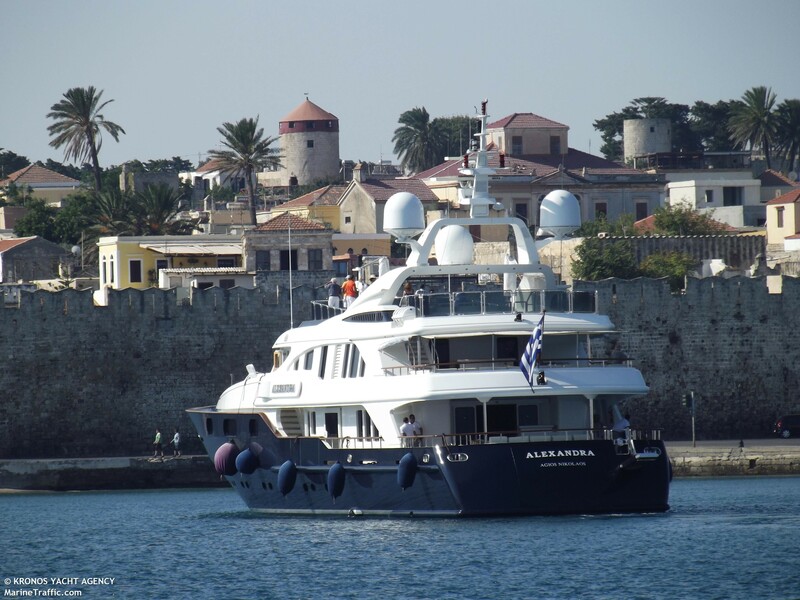 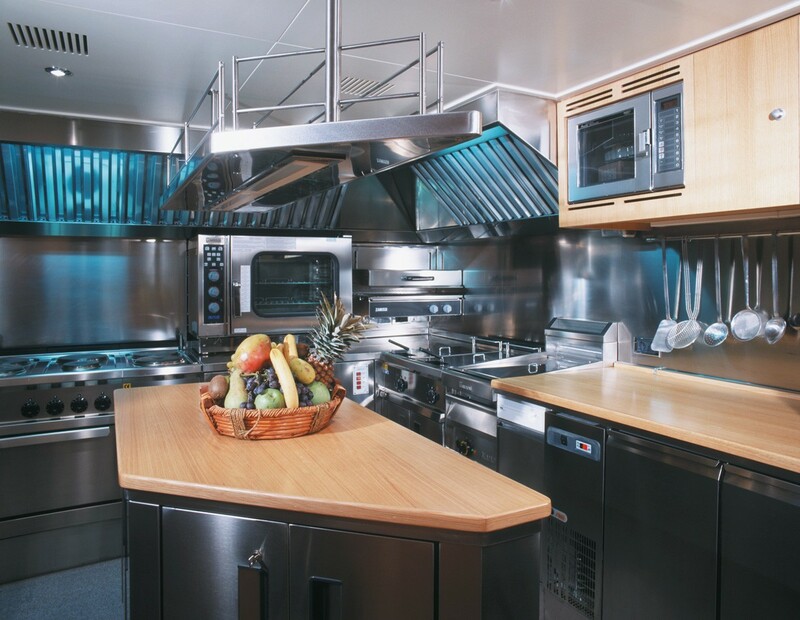 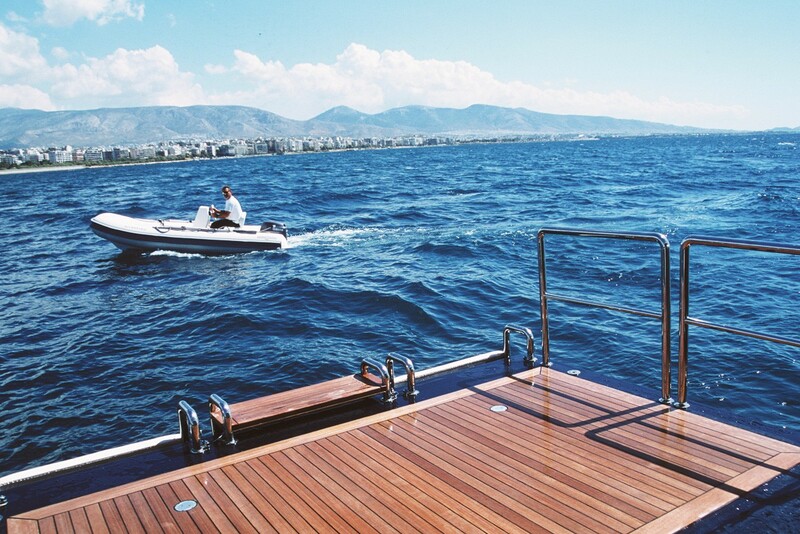 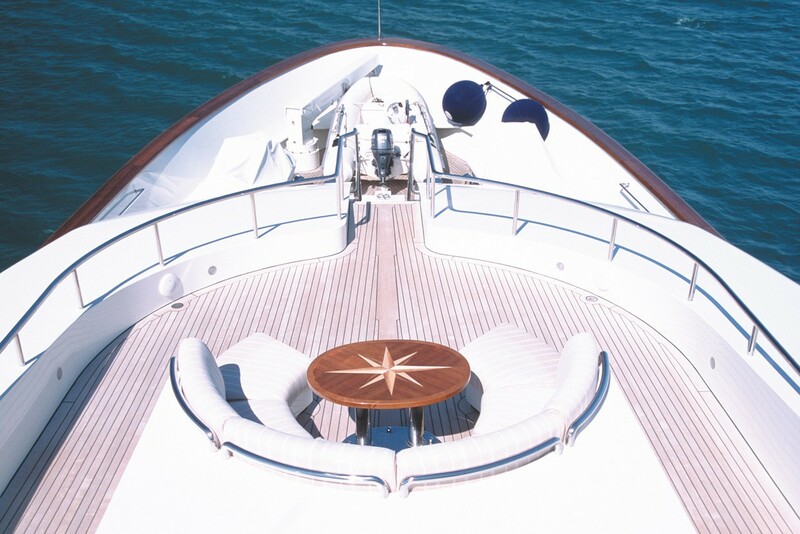 Once you board M/Y ALEXANDRA, you enter a world of luxury and sophistication. 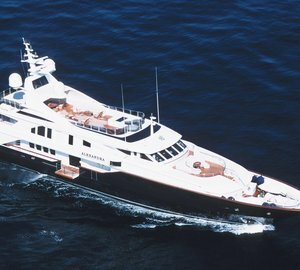 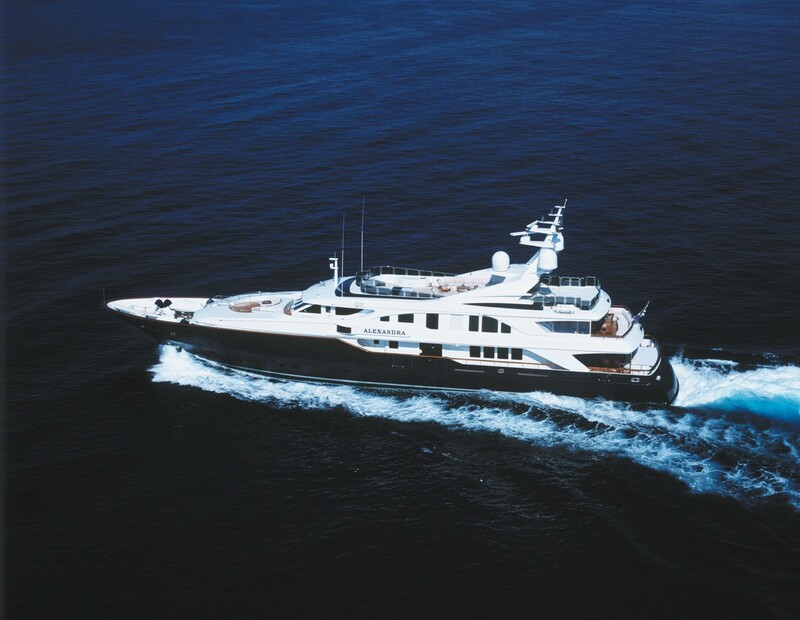 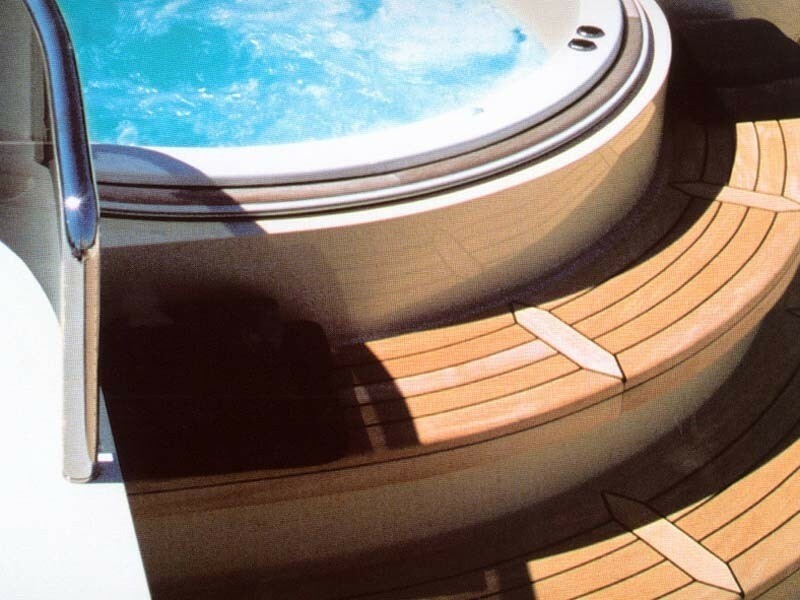 She offers a Spa Pool on her fabulous sundeck as well as a wealth of water toys to provide endless entertainment during any yacht charter (see below). 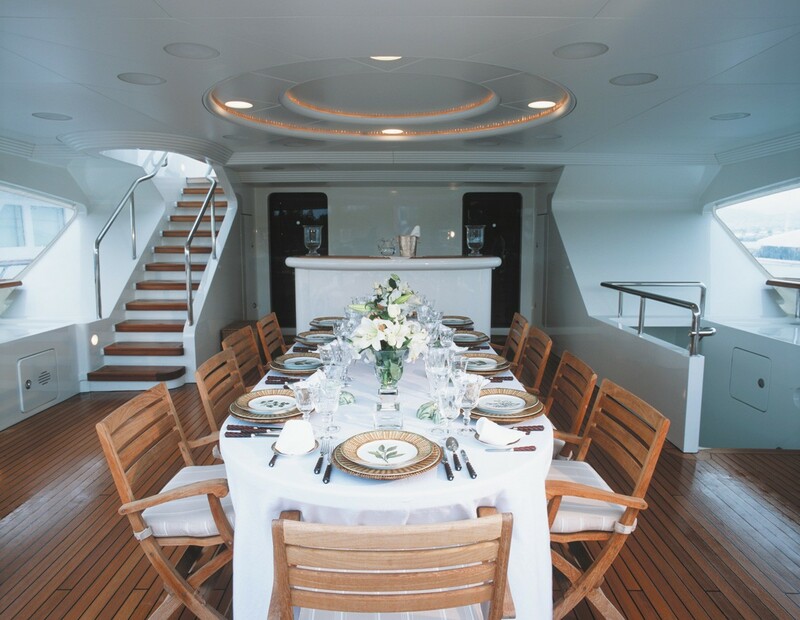 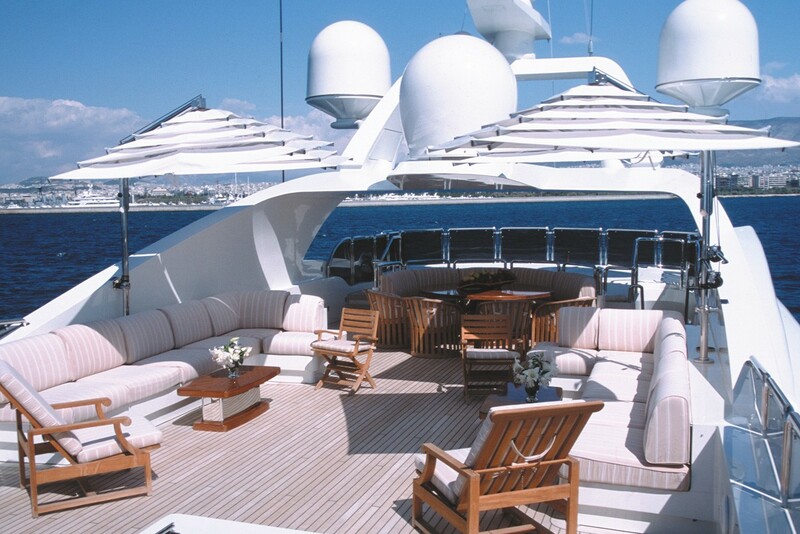 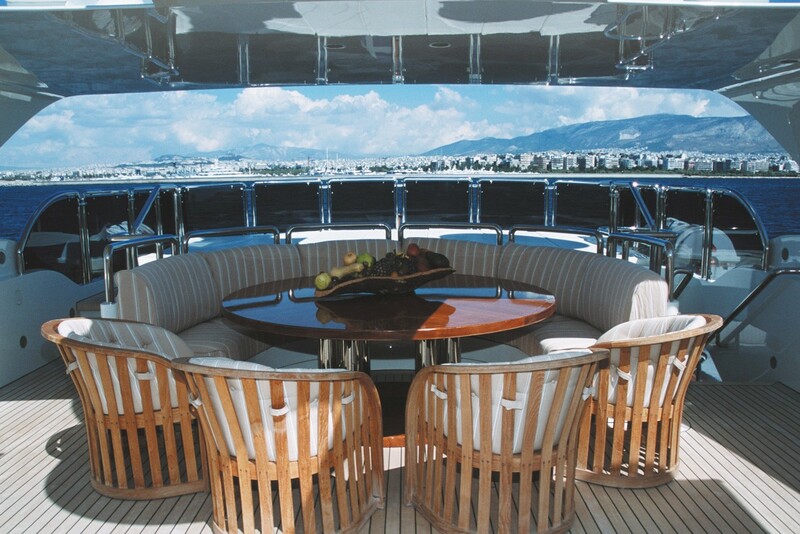 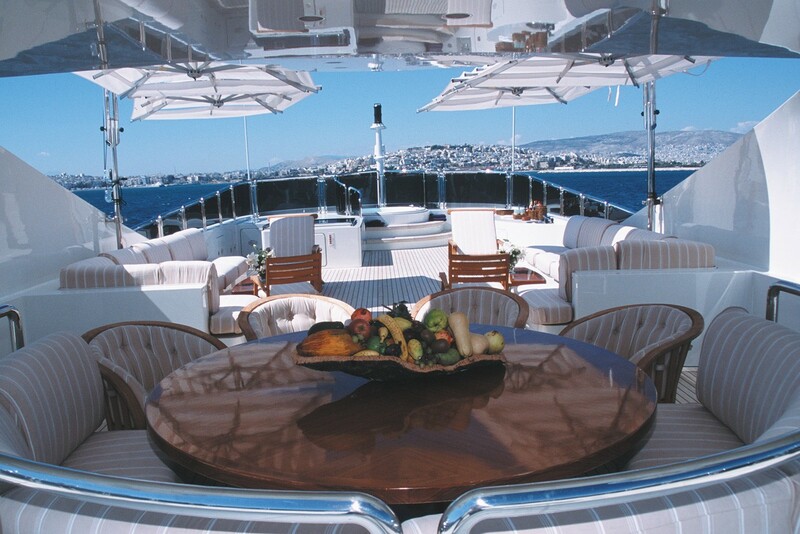 ALEXANDRA’s main deck features two collapsible bulwarks aft of the lounge and dining area which offers guests spectacular panoramic views while dining. 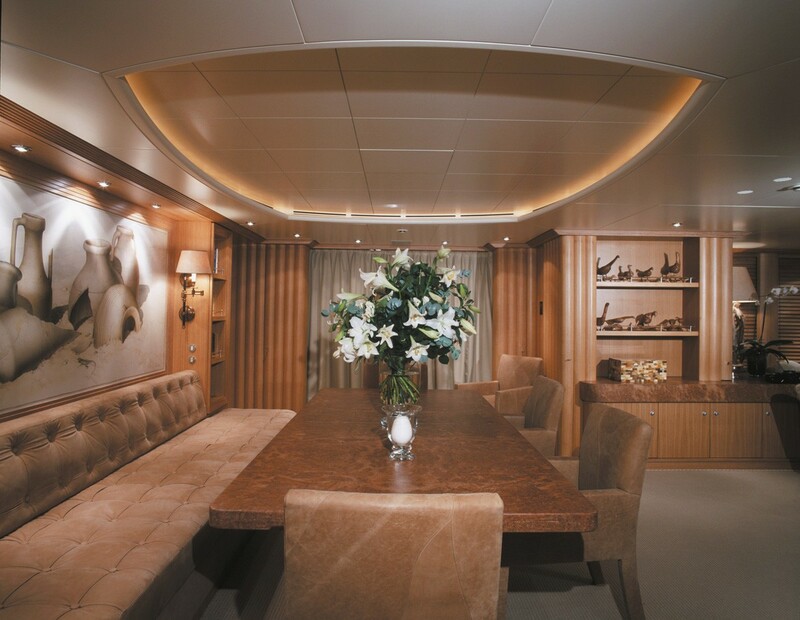 Wide windows are found throughout the luxury yacht ALEXANDRA providing plenty of natural light and her classic Italian interior is finished beautifully. 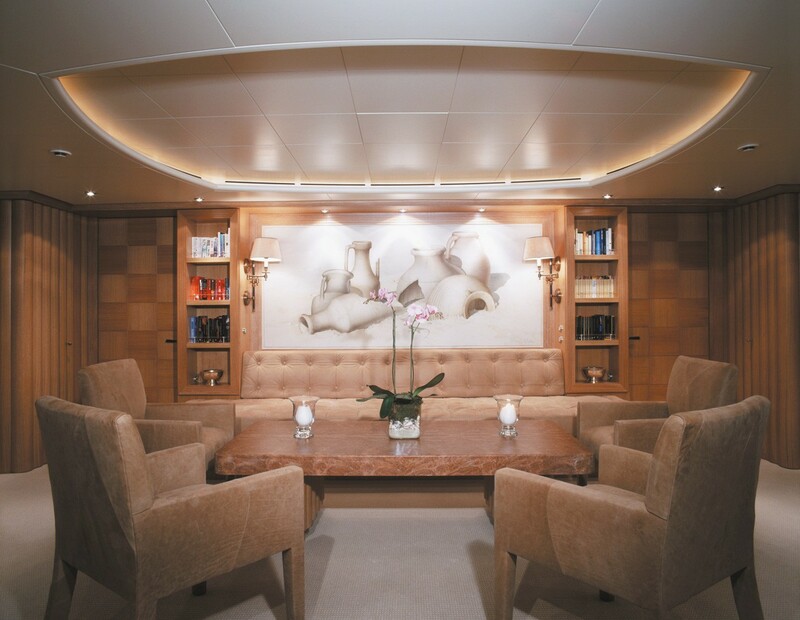 A true testimony to luxury, M/Y ALEXANDRA has a very special deck plan to accommodate up to 14 guests in 7 cabins and she has an owner’s private study. 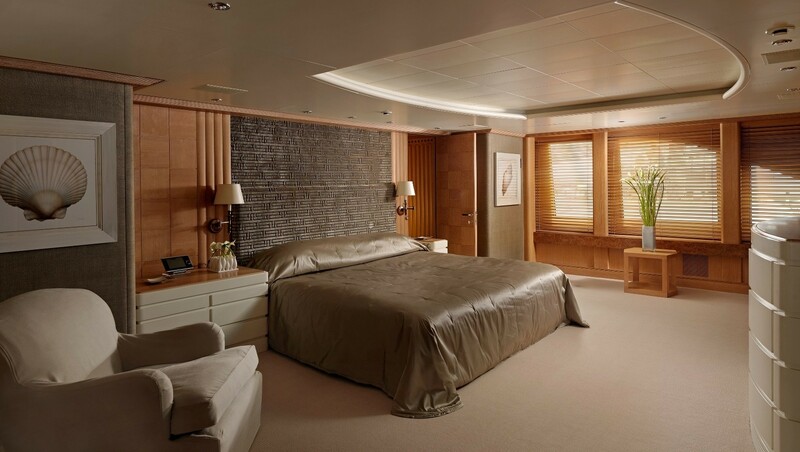 The full beam master suite and owner's study with separate Shower Jet Massage and Spa Pool tub is located on the upper deck. 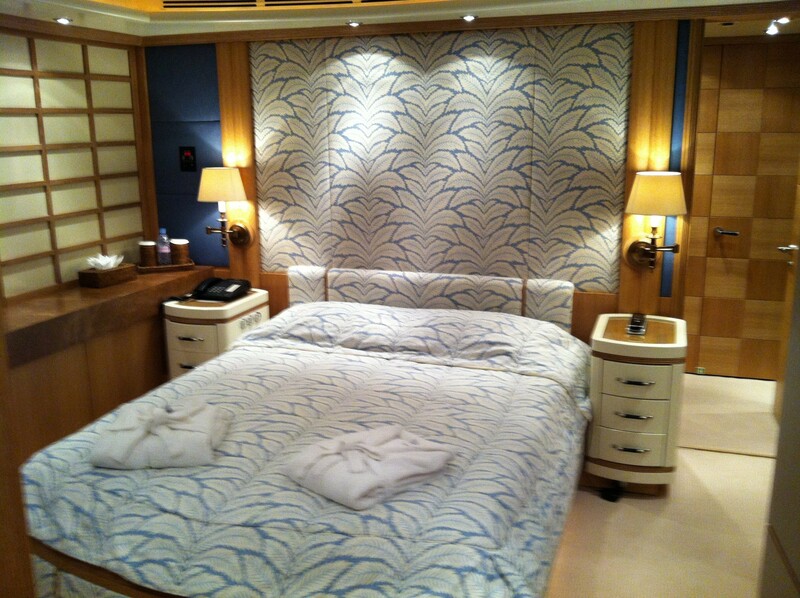 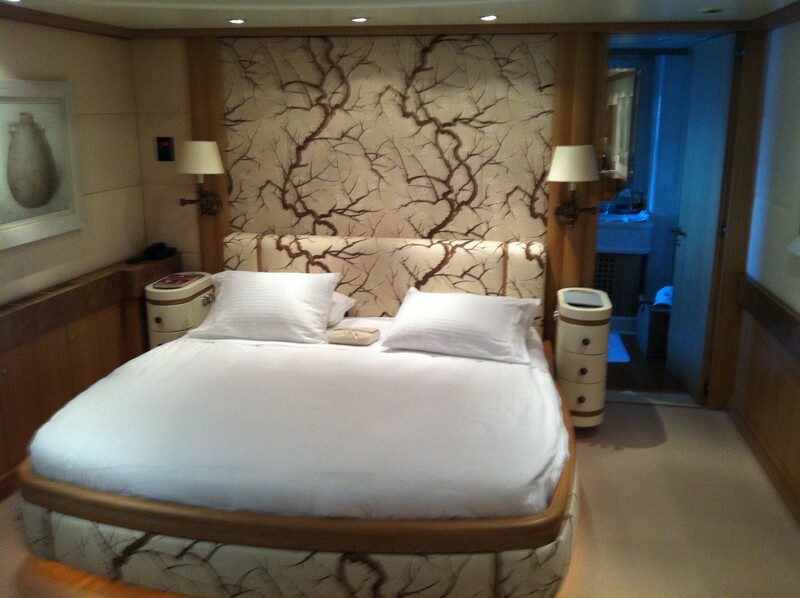 On the main deck there are two VIP Cabins and the lower deck has a further two guest doubles and two guest twin cabins. 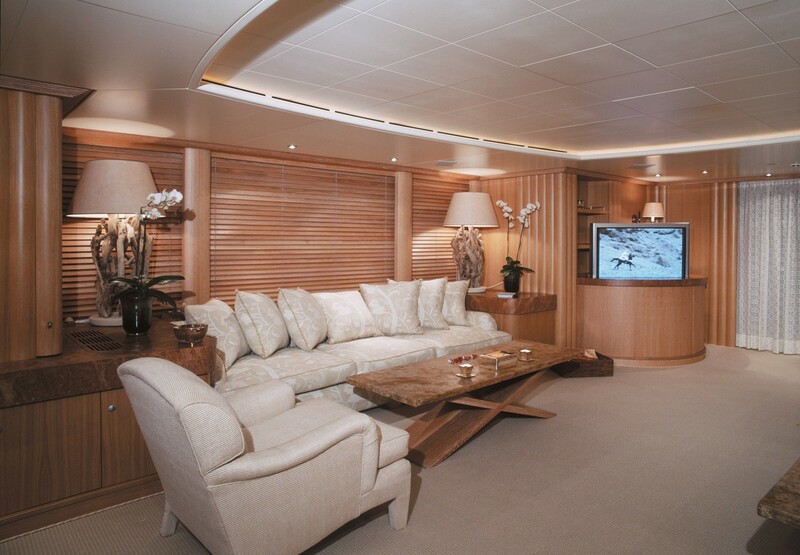 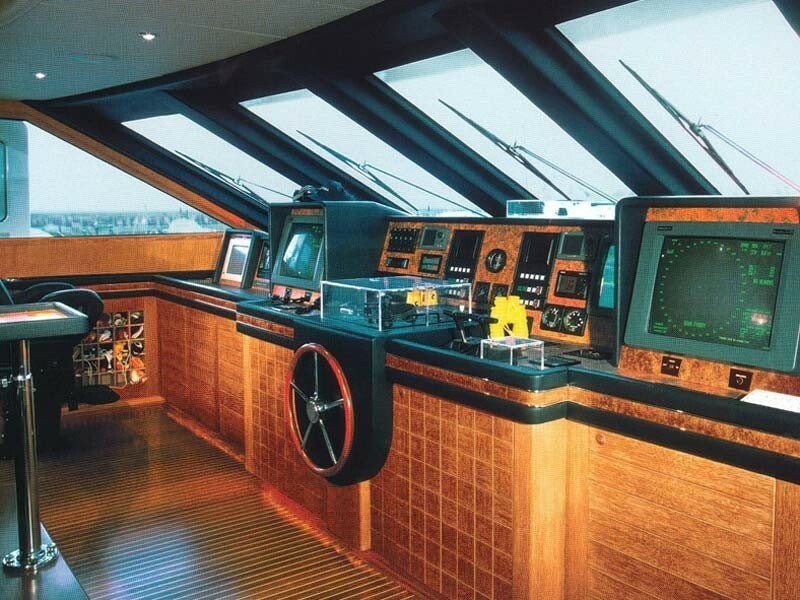 Each cabin is equipped with a full entertainment system. 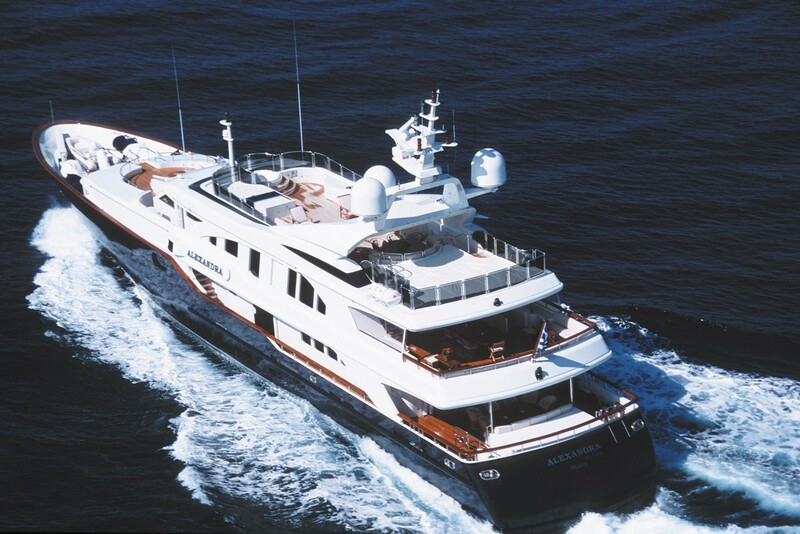 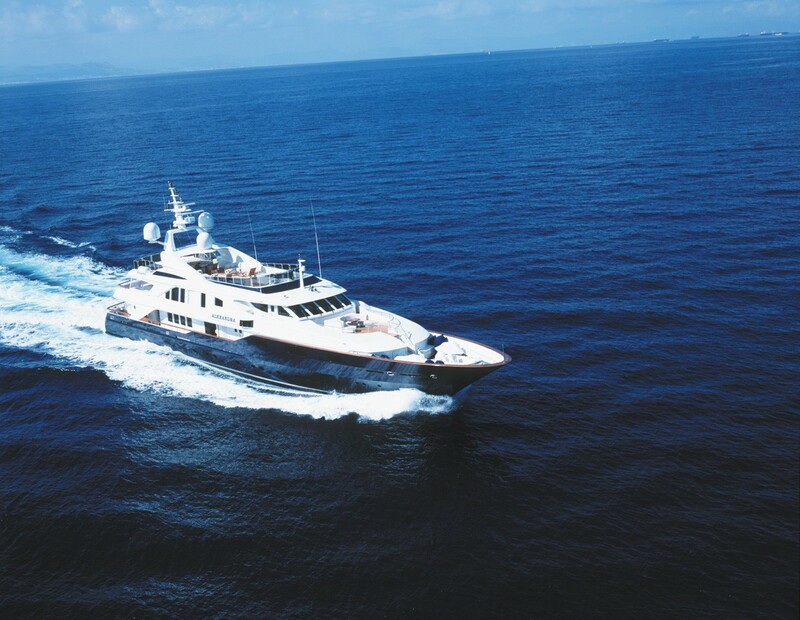 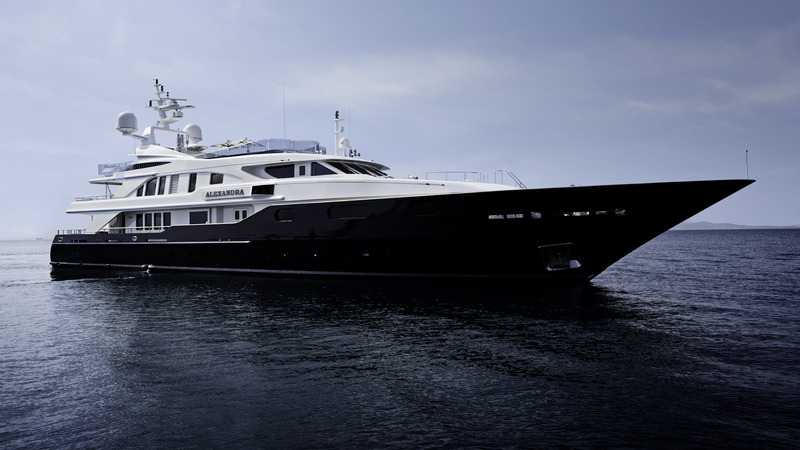 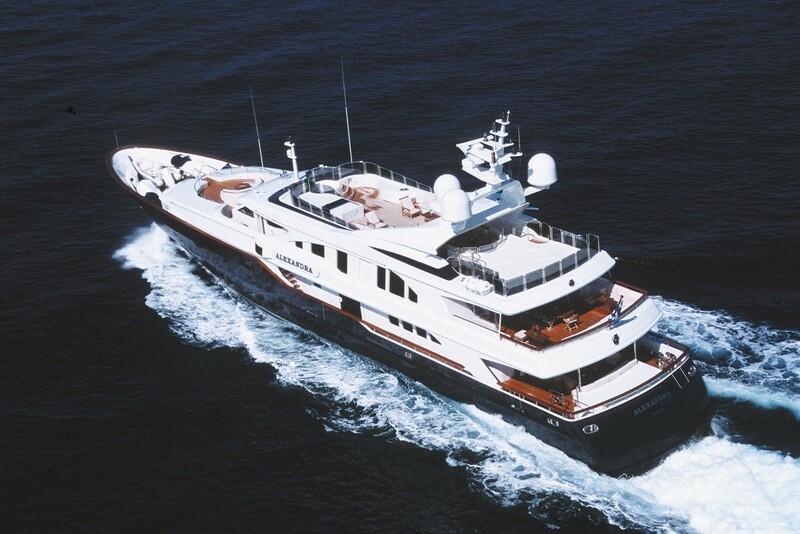 Superyacht ALEXANDRA is able to accommodate up to 14 guests in 7 cabins. 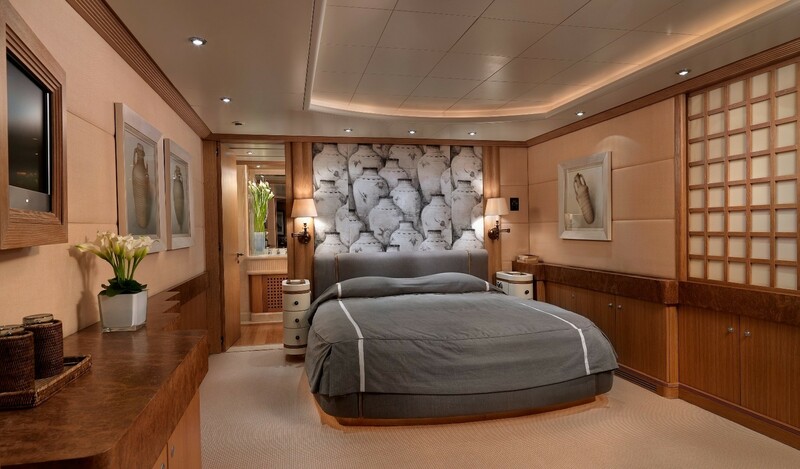 The full beam master suite and owner's study with separate Shower Jet Massage and Spa Pool tub is located on the upper deck. 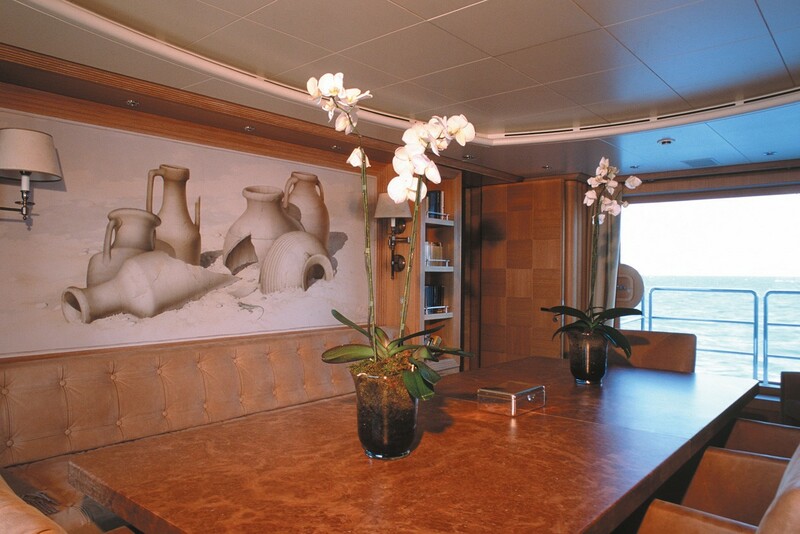 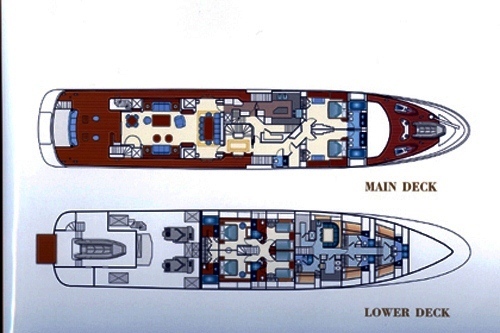 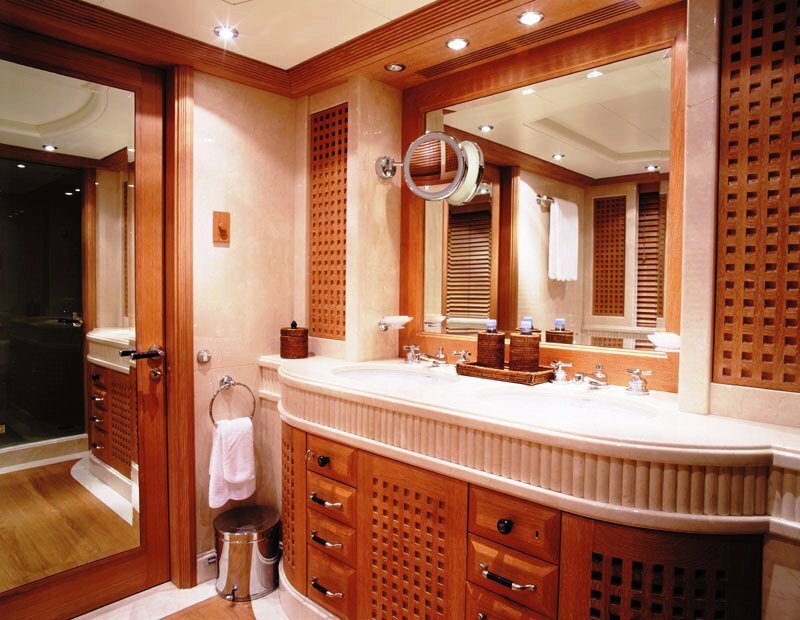 On the main deck there are two VIP Cabins and the lower deck has a further two guest doubles and two guest twin cabins. 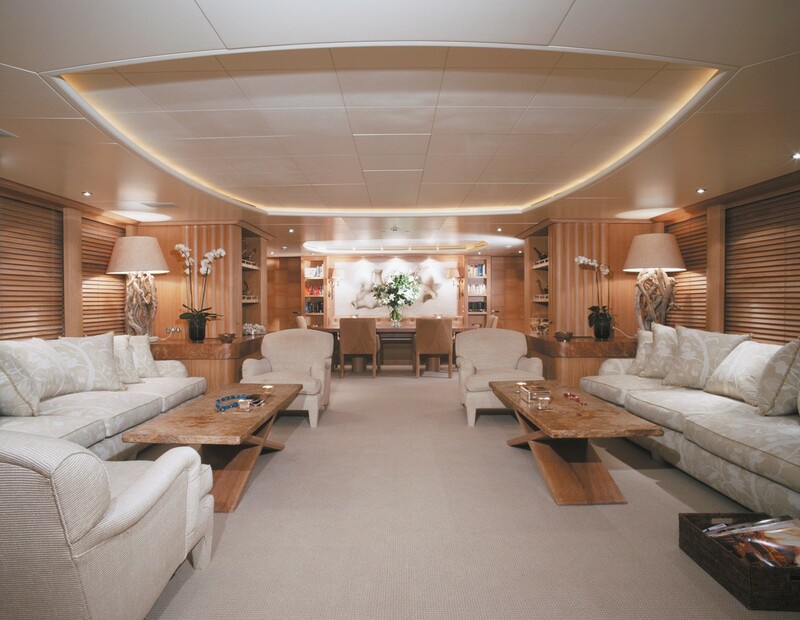 Each cabin is equipped with a full entertainment system.